BridgeWave delivers highly-reliable, cost-effective gigabit wireless solutions for enterprise, service provider, and government metro Ethernet networks, including municipal and military applications. High performance, lower cost and excellent wireless network security deliver a superior alternative to fiber-based solutions, including wireless backhaul and 4G mobile network requirements. 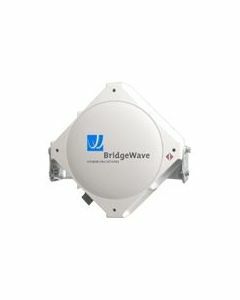 BridgeWave's U.S.-designed and -manufactured gigabit wireless products are enabled by BridgeWave's proprietary transceiver and modem technologies. 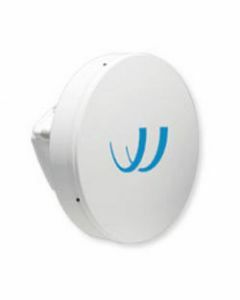 BridgeWave's products utilize the upper millimeter-wave radio spectrum in the recently-allocated 60-90 GHz range, enabling multi-gigabit per second wireless connectivity at affordable price points. 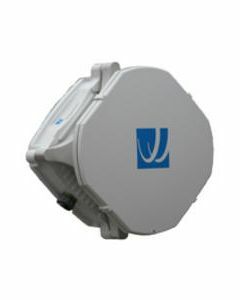 BridgeWave's millimeter wave 80 GHz FlexPort™ solutions provide highly-available connectivity at typical urban distances and feature sufficient capacity to simultaneously support legacy TDM and rapidly-growing IP traffic. FlexPort links are well-positioned to fulfill a critical enabling role for emerging 4G/WiMAX/LTE deployments worldwide. 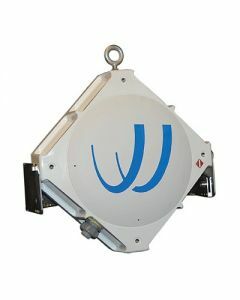 BridgeWave’s SLE100 point-to-point bridge provides highly reliable 100 Mbps full-duplex, half-mile (800 meter) connectivity between buildings.